A man sexually assaulted a teenage girl aboard a flight bound for Dulles International Airport, according to the FBI. The girl accused an Idaho man in his 20s of inappropriately touching her legs and trying to kiss her repeatedly even as she slapped him several times to get him to stop, FBI investigators said in an affidavit. 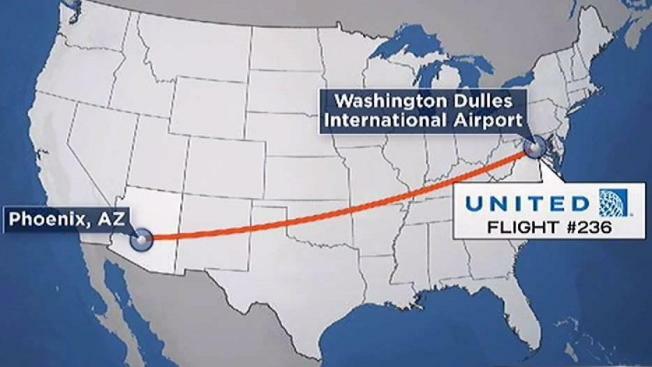 The two were sitting in a row near the back of the plane, a United flight from Phoenix to Dulles. The man gestured at his crotch as he talked to the girl, the affidavit said. Airport police responded to the incident, but the FBI has jurisdiction because it happened in the air. The suspect is scheduled to appear in court in Alexandria. He does not have a lawyer listed and could not be reached for comment.